What cooking skills Should you teach your preschooler? ​inside or outside of the kitchen. Click here to read a fantastic book review by Babies to Bookworms! The Tiny Chef book is now available for a lower price on Amazon! Make sure to always check the quality of the printing and ask for a re-print if it doesn't seem satisfactory. ​(the images should go all the way to the bottom edges). At least they're very accommodating about sending a new copy if they make a mistake! I'd love to email you the first chapter of my Getting Started Guide! 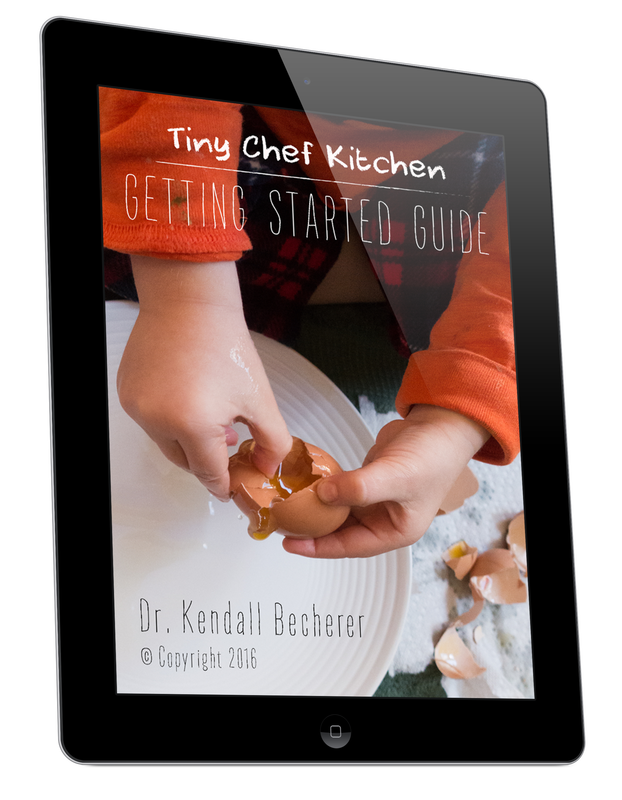 If you're just starting on your kid-friendly cooking journey, check out the TCK Getting Started Guide.